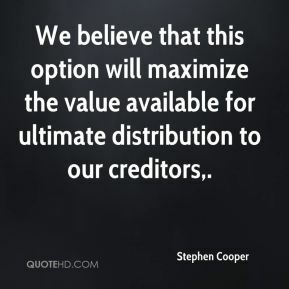 We believe that this option will maximize the value available for ultimate distribution to our creditors. 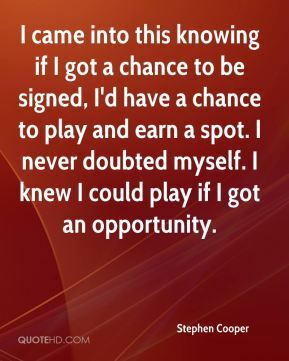 I came into this knowing if I got a chance to be signed, I'd have a chance to play and earn a spot. I never doubted myself. I knew I could play if I got an opportunity. 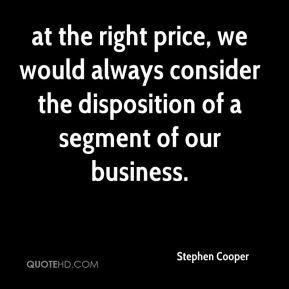 at the right price, we would always consider the disposition of a segment of our business. 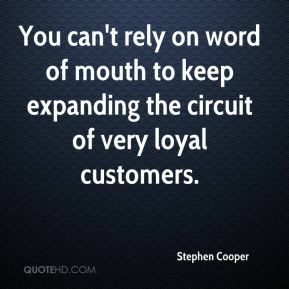 You can't rely on word of mouth to keep expanding the circuit of very loyal customers. 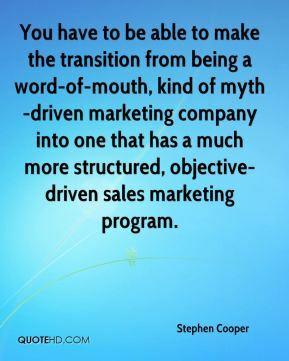 You have to be able to make the transition from being a word-of-mouth, kind of myth-driven marketing company into one that has a much more structured, objective-driven sales marketing program. 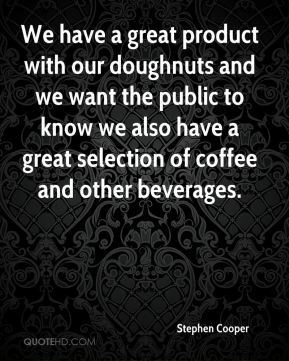 We have a great product with our doughnuts and we want the public to know we also have a great selection of coffee and other beverages. 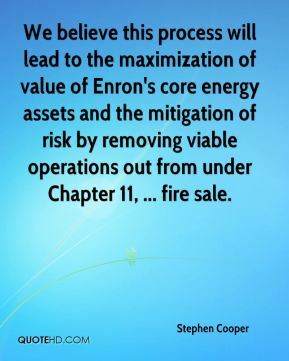 We believe this process will lead to the maximization of value of Enron's core energy assets and the mitigation of risk by removing viable operations out from under Chapter 11, ... fire sale. 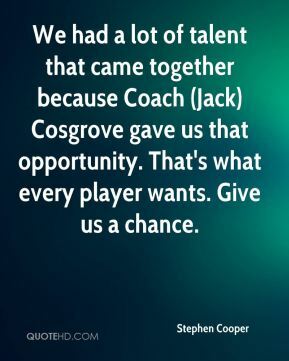 We had a lot of talent that came together because Coach (Jack) Cosgrove gave us that opportunity. That's what every player wants. Give us a chance. 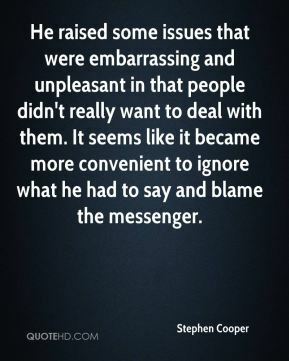 He raised some issues that were embarrassing and unpleasant in that people didn't really want to deal with them. It seems like it became more convenient to ignore what he had to say and blame the messenger.